My trusted MAC Cosmetics concealer was on its way out and I was on the hunt for a cheaper alternative. 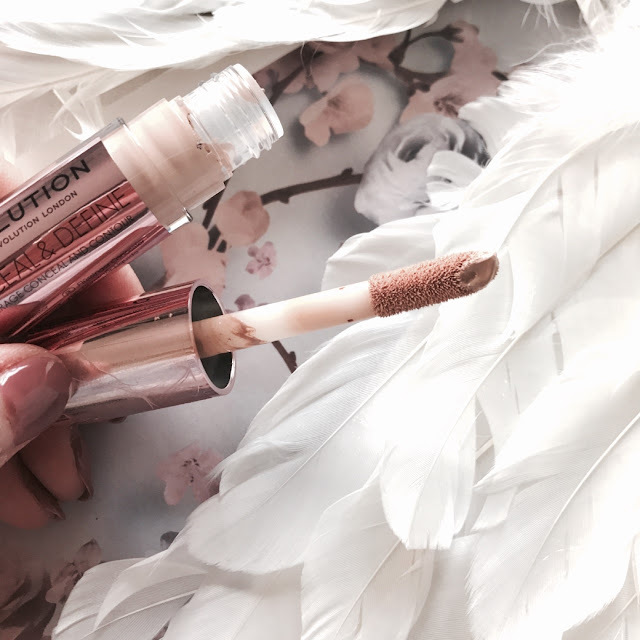 Makeup Revolution had recently released a new concealer, the Makeup Revolution Conceal and Define Concealer, apparently a dupe for the loved Tarte Shape Tape which is a huge pricey little number. 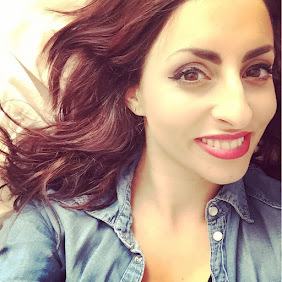 I was unsure on what shade to chose so decided on C4 out of the 18 available shades which is such a good choice compared to other brands who offer only a handful of shades. The product has a lovely rose gold and irridescent packaging with a large sponge applicator. The concealer is very creamy and slightly thicker then other concealers I have tried and dries a matte finish. 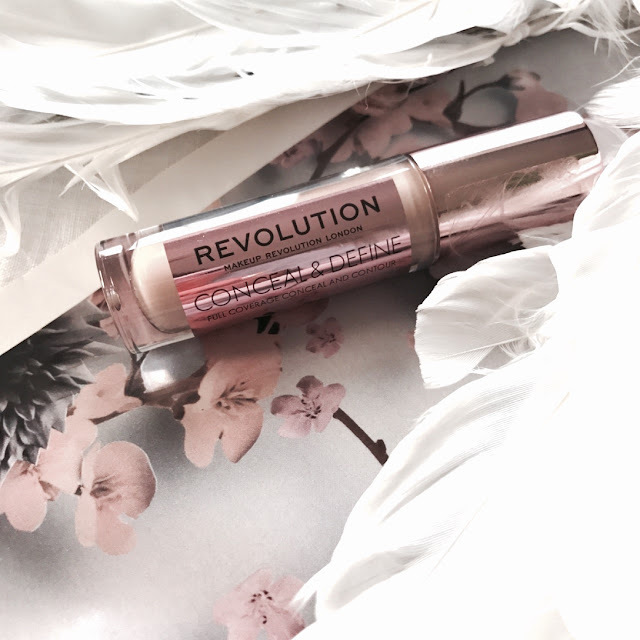 I applied this concealer on a manic Monday morning with three little children needing my attention, as I applied this I actually paused and inhaled a deep breath of shock! Not dramatic at all is it....this concealer is everything I have been wanting from a concealer. This concealer not only covers dark circles but doesn't crease which is always the issue I find with concealers. The concealer is easy to apply and blend and lasts all day. I have to admit I am in love and it even beats my MAC concealer! 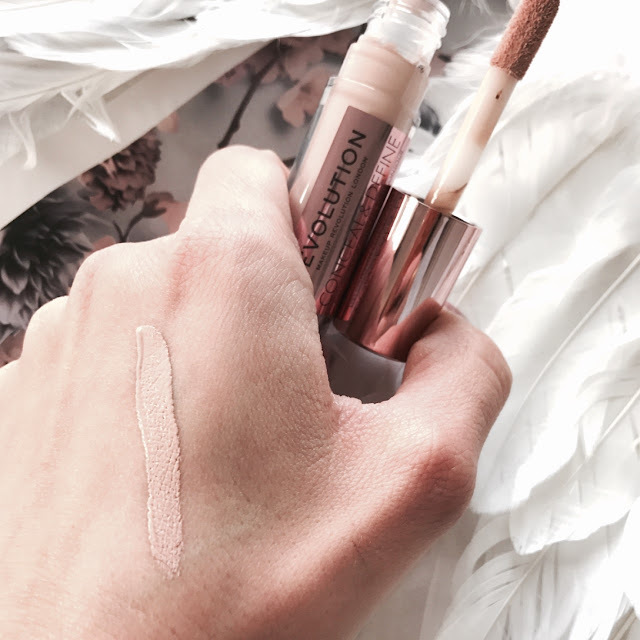 For just £4 this is so worth the money and would highly recommend the Makeup Revolution Conceal and Define Concealer.